The vicious rumors can stop flying. The public can finally rest easy without the question bouncing around the vacant halls of the collective unconscious. Carl Jung dreamed of a moment like this. 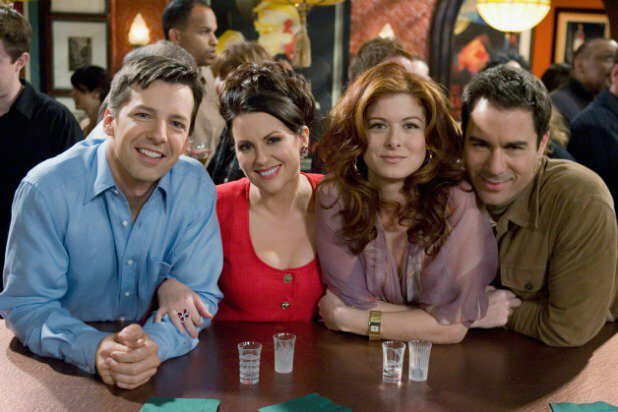 What are the preferred sexual positions of the fictionalized world of Will & Grace, anyway? We placed the #WillAndGrace characters. Perhaps things aren’t so simple and tidy. Life is complicated and it seems there are quite a number of dissenting opinions on the matter. Vince is the kinda guy we all hope is a top, being tall, dark and handsome and all, but is almost always is a bottom. I say flip lawful bottom and lawful top, neutral bottom and neutral top and chaotic bottom and chaotic vers and this would then be accurate. But the episode in which Karen was sleeping in her limo Rosie was spooning her from behind. Jack even said Karen’s a bottom. Who has a better gaydar than Jack? Swap Grace and Malcolm around and you’re good to go. ?? Jack: Bottom, Grace: Bottom, Karen: Vers, Malcom: Top to the extreme, Larry: Bottom, Will: Vers/Bottom, Vince: Top, Bev: Extreme Bottom, Rosario: Vers. Those are my opinions. ? WTH is Lawful, Neutral, and Chaotic? Ya beat me to it. What are these descriptives all about????? This is a reference to character alignments in Dungeons & Dragons in which characters could be Lawful Good, Neutral Evil etc. There were nine possibilities. Over the last few years a lot of different fandoms have made D&D alignment charts for the characters in their fandom and it looks like W&G team had some fun with it. ahh finally a chart I could understand. Also yes, it was originally Dungeons and Dragons but a lot of different games have adopted and expanded upon the original alignment charts.